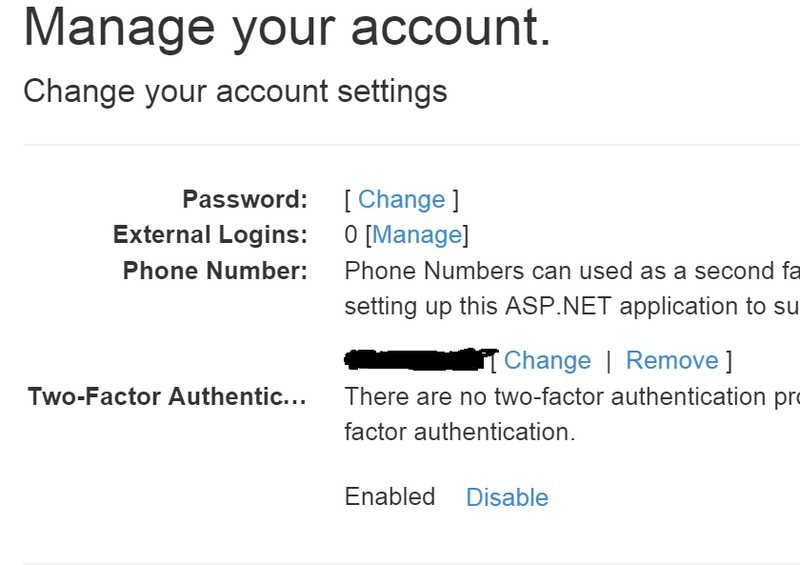 In today's blog post, I will be discussing how to set up SMS authentication in ASP.NET5 web application. 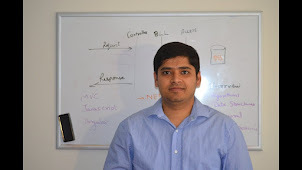 To begin with, I first created a web application in Visual Studio 2015RC named "SmsAuth". Then I navigated to www.twilio.com and created an account. 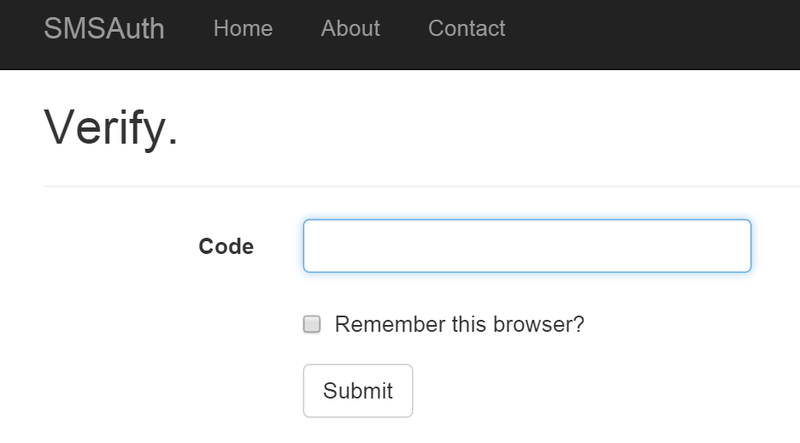 In my application, I added the Twilio Nuget package. The TwilioAccountSid, TwilioAuthToken and FromTwilioPhoneNumber are all available from the twilio account I created above. For simplicity, I have added all this information here only. For secret information, I would rather use SecretManager as I discussed in a previous blog post here. 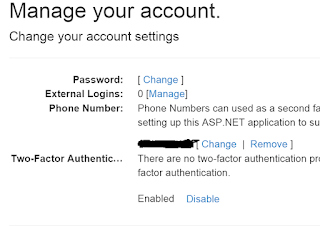 This allows user to enable/ disable two factor authentication in the user account. Next, I removed "dnxcore50" from frameworks in projects.json because twilio cannot target dnxcore50. Now I ran the application and registered as a regular user with my email and password. Next, I added my phone number to my account. 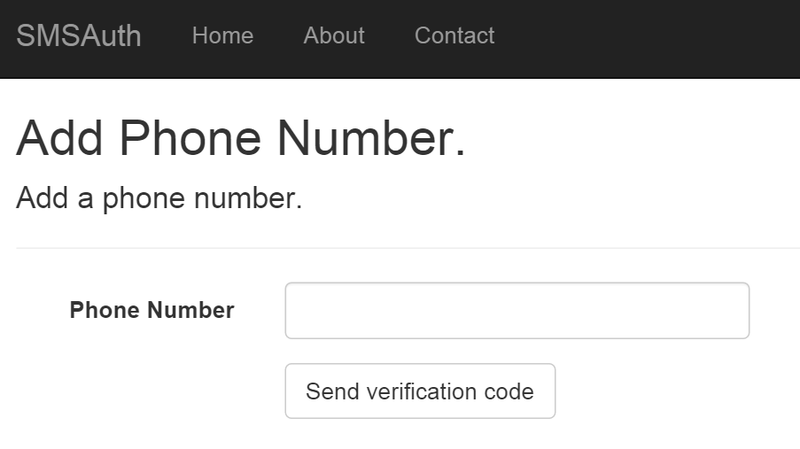 Then I received a verification code on my cell phone. I entered that on the screen and it verified my phone number. Then I enabled the two factor authentication. Then I logged off and logged in again. I entered my username and password. Next, it asked me my method of second authentication and since Phone was the only option, I selected that. Then I received an SMS with security code. And was able to login. So now everytime user tries to login, he has to put in his password as well as the security code. This makes the application more secure as it's two factor authentication. 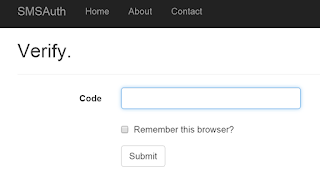 So we saw it's easy to set up SMS authentication on our web application. 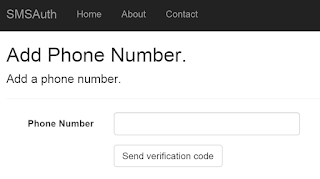 This is useful if we want to make our application more secure or if for some reason we want to use only SMS authentication, we can set up like this.